Translators without Borders is equipped to provide pro bono translation services in any language combination. For the first half of 2011, the highest demands were: French to English (34.6%), English to French (16.7%), English to Spanish (9.84%), English to Arabic (3.87%) and English to Russian (2.07%), with the balance (32.92%) consisting of another 40 language combinations, including English to Yoruba (0.33%), English to German (0.90%), English to Turkish (1.13%), English to Persian (1.13%)*. Translators without Borders vets any NGO requesting its services. This means that all NGOs with which it works are verified in terms of their status as charitable and non-profit organizations. It also means that translators may rest assured that their pro bono services are received for legitimate non-profit causes. The requesting organizations are also vetted to ensure that they do not advocate extreme religious or political views. There are currently 53 NGOs registered with Translators without Borders, and the organization has the capacity to take on 100 more. (Browse the list of NGOs and their descriptions at the TWB Translation Center). In the immediate aftermath of the 2010 earthquake that devastated Haiti, Translators without Borders partnered with ProZ.com , an online community of professional translators and adopted their networking tools. Inundated with requests for translations in Haiti, where an international rescue effort was underway, Translators without Borders initially turned to ProZ.com  for more volunteer translators, and then to screen translators, because of the spectacular number of responses (800!) from the ProZ.com  community of translators. Moving forward, this partnership, born in a crisis of catastrophic proportions, led to the development of the TWB Translation Center, an automated service and delivery platform, donated 100% by ProZ.com . It is this invisible technology quietly empowering Translators without Borders that explains the quantum leap in the number of pro bono translated words in response to an increased capacity to process NGO requests. To become listed in the Translators without Borders database of translators, linguists are required to submit an application at the Translators without Borders website  (click on Translators>How to volunteer). Only professional translators are finally admitted. Translators are then evaluated via the automated ProZ.com  testing platform using a series of Translators without Borders tests that the translator selects in his or her area of specialization and language combinations. A committee of three Translators without Borders translators then evaluates the tests. Once accepted, the translator’s name is registered in the Translators without Borders database of translators, and the translator is supplied with a login ID and password to gain access to the NGO requests via the TWB Translation Center. Once a translation request is fulfilled, it is uploaded to the TWB Translation Center for delivery to the NGO and pick-up. The turnaround time for projects is slightly longer, because this is pro bono work and translators are not expected to spend their entire week on a project. The types of NGO translation requests span such domains as legal, medical, healthcare, epidemiology, educational, and agricultural, including the following kinds of requests: translation of eyewitness or awareness reports in conflict areas; documentation for a campaign against child labor; field reports on urban violence; NGO web pages (see, for example, Goodplanet.org ); instructions manual for dealing with child trauma victims; manuals for childcare of orphans developed in collaboration with local professionals; requests for micro-funding, directions for coordinating international disaster-relief teams; medical training manuals; medical information for childbirth, childcare, and first aid instructions. Projects range from one page to several hundred, with the larger projects divided among several volunteer translators so that no one is asked to translate more than 10 pages. nclude Doctors without Borders, Action Against Hunger, Zafèn, Trickle up, Oxfam, QuakeSOS, Make-a-Wish, AIDES, Handicap International, Partners in Health, Fair Start Training, Medical Aid Films, and many more. During the month of June 2011, the most active organization was Zafèn (representing 28.57% of the TWB Translation Center activity), an organization that organizes micro-financing opportunities in Haiti. The Translators without Borders motto is “Every dollar we save for an NGO is another dollar that can be spent caring for people in the field.” At a rate of 1 million words (valued at $250,000) each year for 17 years, and the capacity for a projected 10 million words per year, with the empowerment of ProZ.com  technology, this is indeed “changing the world, one word at a time” and is truly an impressive feat on more counts than one. Stay tuned—because Translators without Borders has taken yet another step forward, securing funding to open, as early as February 2012, a Translation Training Center in Nairobi, in the Horn of Africa, that is designed to train healthcare translators. This center is envisioned as a pilot for future Translators without Borders training centers across the world “…wherever there is a devastating mix of extreme poverty, poor health and a non-existing translation infrastructure,” according to Simon Andriesen, Translators without Borders Board Member. This center is envisioned to fulfill some of the tremendous needs for translation in local languages: in Swahili, spoken by 5 to 10 million people as a first language and 100 million people as a second language, and in other local languages such as Maasai, Kikamba and Luo. Similarly, stay tuned for more exponential ProZ.com  community-building activity, linking professional service providers and the demand for services, since the pro bono TWB Translation Center has proved an extremely rigorous field test of ProZ.com  technology and its amazing and beautiful capacity for vibrant empowerment. *All statistics are courtesy of Enrique Cavalitto at ProZ.com . ** Hindu deity—Remover of obstacles—represented as an elephant. 1. Translators without Borders (requires enrollment and registration to evaluate your credentials and capacities). 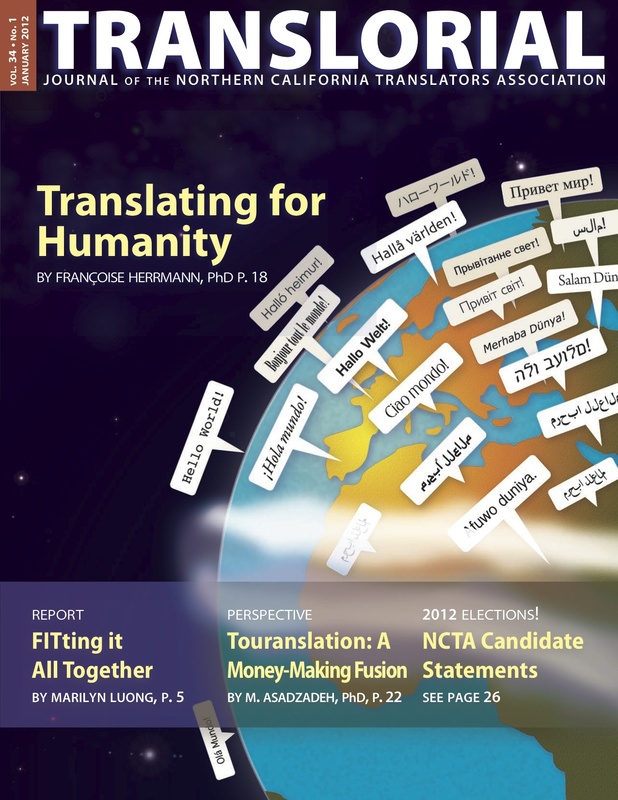 This is the largest network of humanitarian translation opportunities and services. The non-profit status of the NGOs (non-government organizations) requesting translations, is verified, as well as their causes. 2. Work directly with an NGO or non-profit organization. In this case, verify the status of the requesting organization yourself with a non-profit watch organization such as Charity Navigator . 3. Regular translation agencies sometimes provide humanitarian translation services. In this case transparency is paramount and the best practice. Normally, if an agency accepts a pro bono translation project, it is the agency’s contribution and gift. Famine officially declared in Somalia, Ethiopia, Kenya, Djibouti and Uganda with catastrophic proportions in Mogadishu. Japan: March 2011 Earthquake and tsunami resulting in a nuclear crisis—500,000 people homeless, 20,000 perished. Many thanks for the information they have so kindly supplied for this article in a series of phone conversations: Lori Thicke (CEO Lexcelera), co-founder of TSF and TWB, located in France & Simon Andriesen (CEO of Medilingua) located in Holland, TWB Board Member in charge of Operations, and Enrique Cavalitto, ProZ.com  Manager, located in Argentina, in charge of the ProZ.com  “white label” technology for the TWB Translation Center.